We love shenanigans from kickers, and Packers kickoff specialist Mason Crosby provided them this week. With the Packers leading 14-3 late in the first quarter, Crosby executed a surprise onside kick that led to another Packers score. It completely caught the Broncos off guard – check out Denver head coach John Fox’s stammering, stuttering quote here. It wasn’t necessary, nor was it crucial, given the ease with which the Packers won. But it was crazy, and so it’s more than enough to make Crosby Week 4’s Crazy Kicker of the Week. If you’re paying attention to Football Relativity, you know that we have a bit of an obsession with kickers. From our Crazy Kicker of the Week award to the songs of kickers that are constantly running through our head, we spend way too much time considering the status of these soccer-stylers. (I blame my days writing the kicker reports for Pro Football Weekly‘s fantasy football preview mag.) Since we’re thinking about them, we thought we’d use a Football Relativity comparison to assess the most clutch and least dependable placekickers in the league. The 10 level is for the kicker you’d want taking the game-winning kick in the Super bowl; the 1 level is for a kicker you wouldn’t trust to keep you out of overtime in the preseason. 10 – Adam Vinatieri, Colts – Vinatieri is the gold standard of clutch in the league, since he’s made not one but two Super Bowl-winning kicks. From the time he made a 45-yarder in the snow to advance the Patriots in the 2001 playoffs, he’s been almost automatic in the biggest moments. In fact, he didn’t miss a potential game-winning fourth-quarter kick between 1999 and 2007, an amazing string of clutchness. He’s still the best. 9 – Ryan Longwell, Vikings – Longwell has long been well above average as an NFL kicker. (I have long been well intentioned but susceptible to bad puns.) But he’s still at the top of his game, as he proved by kicking three game-winners and hitting all 6 of his attempts from 50-yards plus. The career 82 percent kicker is still one of the best. 9 (con’t) – Robbie Gould, Bears – Gould’s most famous kick was a 49-yarder in overtime that won a playoff game against the Seahawks three seasons ago. That’s an impressive achievement in the wintry, windy conditions of Soldier Field. He has an 86 percent success rate in his four-year career, which speaks even more about his ability. The fact that Gould made the one big money kick he’s tried so far indicates that his clutch ability is pretty strong. 9 (con’t) – Josh Brown, Rams – Brown was incredibly clutch when he was in Seattle, making two famous game-winners from 50-yards-plus. He’s still as clutch as he ever was – his 49-yard game-winner against Washington last year proves it – but he doesn’t have as many clutch chances as he once did. But kicking indoors will allow Brown to keep his range, and his 19-of-30 success rate on 50-plus yarders shows that Brown is an elite kicker in the league. 9 (con’t) – Shayne Graham, Bengals – Graham bounced around the league before finding a home with Cincinnati in 2003, but since then he has been one of the most accurate kickers in the league. He’s made 87.5 percent of his tries as a Bengal, which is a remarkable rate of consistency. He has three career game-winners and is 7-for-14 from 50-yards plus. And he’s done this in a city where the winter weather creates adverse kicking conditions. If Graham played on a better team, more of us would know how clutch he is, but the one-time Pro Bowler and current Bengals franchise player is among the very best in the league. 8 – Jeff Reed, Steelers – Reed hit the first game-winner of the 2009 season in overtime against the Titans, and he has proven to be a solid kicker in his eight years in Pittsburgh. He’s hit nearly 83 percent of his career field goals and has one playoff game-winner as well. He doesn’t have a howitzer for a leg, but in maybe the NFL’s toughest stadium to kick in, Reed continually makes the big ones. 8 (con’t) – Jason Hanson, Lions – Hanson has spent his entire 18-year career with the Lions, and as such he’s been a forgotten kicker in recent years. But he’s an 82 percent career kicker who still has a big leg, as he proved by making 8-of-8 tries from 50-plus-yards last year. Hanson hasn’t had a lot of pressure kicks recently, but his performance elsewhere shows that he still has the chops to make those big kicks. 8 (con’t) – Jason Elam, Falcons – Elam has long had one of the league’s biggest legs, as he proved by tying the NFL record with a 63-yarder in 1998, and he had a streak of 30 straight field goals into last season. Elam got off to a rough start this season, but his career 81 percent average and 60-plus percent rate from 50-yards-plus shows that he’s still a great security blanket in the clutch. 8 (con’t) – John Carney, Saints – Carney is 45 years old, but he’s still a quality kicker, as his Pro Bowl campaign last year showed. The fact that he’s connected on 83 percent of his kicks in his now 20-year career shows his reliability. He no longer has eye-popping range, but if you have a pressure 40-yarder, there are few kickers you would want more than Carney. 8 (con’t) – Rob Bironas, Titans – In his five years in Tennessee, Bironas has hit 83 percent of his field goal tries, and he’s also shown late-game chops. He famously had four game-winning kicks in 2005, including a 60-yarder to beat the Colts. He also had eight field goals in a single game against the Texans. Bironas is one of the best young kickers in the league. 7 – Nick Folk, Cowboys – Folk, a third-year kicker, has been extremely consistent for the Cowboys. Last year he hit on 20-of-22 field goal tries, and for his career he’s over 87 percent on kicks. He’s also 5-for-8 career on tries of 50 yards or longer. He’s also made some long game-winning or game-tying kicks, including a 52-yarder that forced overtime against Arizona last year and a 53-yarder to beat Buffalo in a 2007 Monday-night game. 7 (con’t) – Stephen Gostkowski, Patriots – Gostkowski faced the unenviable task of replacing Adam Vinatieri in New England, but he has performed well, going to the Pro Bowl last season. He’s connected on about 85 percent of his career field goals and has a strong leg both on kickoffs and on field goals, and his playoff performance has been solid as well. Gostkowski hasn’t had the moments Vinatieri had so far, but his performance indicates that he’s ready to handle them. 6 – Joe Nedney, 49ers – Of all the kickers I’ve ever interviewed, Nedney was one of my favorites. He’s a huge guy – 6-foot-5 – who has always had leg strength but who took a while to gain consistency. But he has made 88 percent of his field goals since coming to San Fran in ’05, which goes to show that he’s become a dependable guy. 6 (con’t) – Lawrence Tynes, Giants – Tynes is an 80 percent career kicker, and he also made a big-time 47-yard kick in overtime against Green Bay in the NFC championship to put the Giants into the Super Bowl, even though he had missed two shorter field goals earlier in the game. He doesn’t have a huge leg – he hasn’t made a 50-yard-plus field goal since 2006 in Kansas City – and the fact that the Giants chose John Carney over Tynes throughout the 2008 season is a red flag too. But Tynes has established himself as a trustworthy option. 6 (con’t) – John Kasay, Panthers – Kasay has been with Carolina since the franchise took the field in 1995, and by and large he has been a consistent force. He’s shown the ability to make long field goals in the clutch, but he famously failed in a couple of big spots in the Panthers’ lone Super Bowl appearance. He has 12 game-winners in his career, and even approaching age 40 he’s still a good if not great clutch option. 5 – David Akers, Eagles – Akers hit 19 straight postseason field goals before finally missing one in last year’s NFC championship game, which goes to show that he’s ultra-dependable in big spots. He’s a career 80 percent kicker, but last year was his first season in four where he surpassed the 80 percent mark for the year. Akers has a good pedigree, but his numbers are starting to leak, which makes that miss vs. the Cardinals last year loom a little larger. Still, most teams would be happy to ride on Akers’ leg. 5 (con’t) – Phil Dawson, Browns – Dawson is in his 11th season as the Browns’ kicker, and he’s made nearly 83 percent of his kicks in weather that can often be the opposite of kicker-friendly. He also has 11 game-winning kicks in that time. He’s a solid 10-of-15 on tries of 50-yards-plus, which shows he can make those kicks but doesn’t often take them. He’s provided a good comfort level for the Browns over the years. 5 (con’t)- Kris Brown, Texans – Brown, who started his career with the Steelers, has been in Houston since the Texans were born, has 11 career game-winning field goals, including eight with Houston. One of those was a 57-yarder to beat the Dolphins in 2007. His career percentage is just under 80 percent, but he has made 55 percent of his 50-yard-plus attempts. Brown has the chops to make a long field goal in the clutch, but he’s not the sure-fire three-point producer that some other kickers are. 4 – Neil Rackers, Cardinals – Rackers’ career percentage of 77.4 percent isn’t great, but he has a strong leg (19 career 50-plus field goals), and he has one Pro Bowl season in ’05. He made an NFL record 40 field goals that year. In recent years, he’s been a very solid option for the Cards, but he’s never been the ultraconsistent option other kickers are. 4 (con’t) – Mason Crosby, Packers – In his three years in Green Bay, Crosby has shown a big leg that is a little wild at times. He’s completed just under 79 percent of his kicks, which is a percentage lower than most teams would prefer. He does have the ability to hit from deep, making 7-of-12 from 50-yards-plus. He’s a great touchback guy and a long-range threat, but for a clutch 42-yarder there are better options in the league. 4 (con’t) – Dan Carpenter, Dolphins – In his first season last year, Carpenter hit 21-of-25 field goals, including a last-minute game winner vs. Oakland and one 50-yarder. His only misses were from 40 yards and further, which means he was automatic on short-to-midrange tries. His career is off to a good start, but we have a long way to go before we can truly call him clutch. But like Vinatieri, Carpenter was an undrafted free agent found by Bill Parcells, so at least the pedigree is there. 3 – Josh Scobee, Jaguars – Scobee is in his sixth year in Jacksonville, but his success rate on field goals is less than 80 percent, which is not ideal. He did make four 50-yarders last year, which along with his touchback percentage shows his value, and he made back-to-back game-winners early last season. Scobee is the ultimate good but not great NFL kicker who you think can make the big one but who will always leave a shadow of doubt. 3 (con’t) – Sebastian Janikowski, Raiders – The former first-round pick (you read that right) has always had one of the league’s biggest legs, as he showed by making a 57-yard game-winner last year vs. the Jets. But his consistency level has been spotty, as shown by his 77 percent career success rate. Sea-Bass is a great option for long clutch kicks of 55 yards or more, but at more reasonable distances there are many other guys you’d rather have. 3 (con’t) – Jay Feely, Jets – Feely has bounced around a little, but his career accuracy rate is 81.5 percent, and he has five career game-winners. He doesn’t have a big leg, which shows in his scattershot rate on field goals of 40 yards or more (65 percent). So Feely is a dependable guy on the short field goals but not the guy you want taking a long attempt in the clutch. 3 (con’t) – Mike Nugent, Buccaneers – Nugent has three career game-winners, but his career percentage of 79.8 is only average among NFL kickers. Now that he’s in Tampa Bay where the environment is more kicker-friendly, he could up his percentage. But he needs to take advantage of his strong leg by making more of his long attempts before he can be considered a real clutch threat. 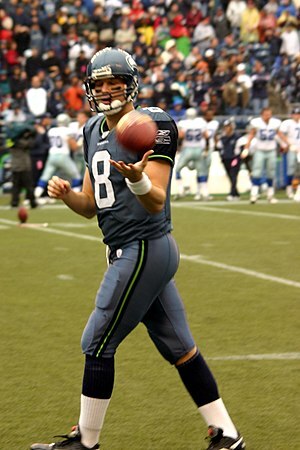 3 (con’t) – Olindo Mare, Seahawks – Mare landed in Seattle last year and beat out Brandon Coutu in the race to replace Josh Brown. Mare had a solid season, making 24-of-27 field goals including a game-winner against the Rams. But last year was only the second time since 2002 that Mare made more than 78 percent of his field-goal tries. He has a strong leg for kickoffs but has been scattershot on his longer attempts, making just 18-0f-39 from 50-yards-plus in his career. Mare deserves credit for holding off Coutu two years in a row, but he’s no longer an elite clutch kicker in the NFL. 2 – Nate Kaeding, Chargers – Kaeding has a big leg and great regular-season results (86 percent success rate), but his playoff results are lacking. He missed game-tying tries that eliminated the Chargers in the ’04 and ’05 seasons, and missed in four straight postseason games. So despite the fact that his stats look good, Kaeding isn’t the guy you want taking a clutch kick. 2 (con’t) – Rian Lindell, Bills – Lindell has made his chops as a bad-weather kicker in Buffalo, and he has made 80 percent of his career field-goal tries along with every extra-point he has ever tried. But Lindell’s clutch performance has been less than ideal, which means that there are better options out there. 1 – Matt Prater, Broncos – Since replacing Jason Elam in Denver last year, Prater has showed a big leg with good range, but his consistency is lacking (only 70 percent success rate). He has hit 6-of-7 from 50-plus, which helps, but he’s still someone who needs to prove his clutch chops. 1 (con’t) – Shaun Suisham, Redskins – Suisham struggled last season after performing consistently in his first two years in Washington. His career percentage is just 78 percent, and he missed a 30-yarder in his long playoff game. Suisham could still grow into a consistent kicker, but that consistency has been lacking so far. 1 (con’t) – Steven Hauschka, Ravens – Hauschka replaces long-time Ravens kicker Matt Stover this year because he’s got a longer leg both on kickoffs and field goals. The former N.C. State kicker had two long attempts last year as the kickoff specialist, hitting from 54 and missing from 52, and he’s 1-of-2 thus far this season. But he has a long way to go before he provides a comfort level. 1 (con’t) – Ryan Succop, Chiefs – Succop, who was Mr. Irrelevant in the NFL draft this year, made his first career field goal, a 53-yarder against Baltimore. It remains to be seen how clutch Succop will be, but he is one of the most intriguing to watch because his kicking leg is about three times as muscular as his plant leg. Believe me – it’s hard to stop staring at the difference.